A Wooden Nickel address, phone, website, hours of operation, and more. Do you have temporary money problems? Need help now? When you are short on cash, A Wood Nickel is your source for instant cash. Serving the Peninsula for over 30 years, we offer top dollar for gold, silver, diamonds, jewelry, old military items and more. 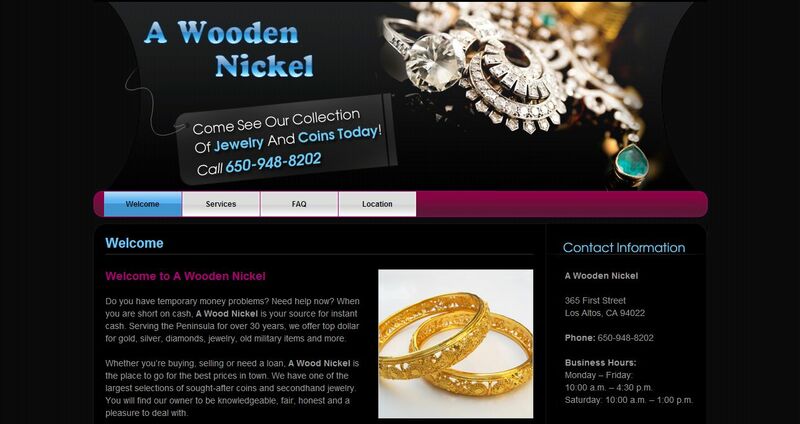 Whether you’re buying, selling or need a loan, A Wood Nickel is the place to go for the best prices in town. We have one of the largest selections of sought-after coins and secondhand jewelry. You will find our owner to be knowledgeable, fair, honest and a pleasure to deal with. The only way to experience our service is to come on down and see for yourself. We invite you to stop by and browse our selection. A Wooden Nickel will always have something for showcase that will interest you!